We all go through looking at our Laundry bag overflowing in weekends and wish we had magical powers to get a laundry service done. All we need to do is just dump clothes in machine and switch on the Machine, but wait..!!! Have you ever thought what was it to do laundry back then? Here is what we are sharing the untold tails of Laundry history. Come take a seat in our time machine and tighten your belts we are above to take-off. Washing clothes in the river is still normal way of doing laundry ,but way back it was little different they used special tools like- Washing bat, scrub board, metal boards to wash clothes stains were treated at home Simple washing boards were taken to the riverside, or rocks at the edge of the water was used as scrubbing surfaces. Slapping the dirt was the USB of this washing technique. They were also a kind of laundry called ‘Lye or Bucking’ were whites and off white clothes were soaked in water of ashes or coal which used to act has stain removers. Bucking was to involve lengthy soaking, here is where soap come into picture which was made of ash lye and animal fat also since this medieval era washermen washerwomen or dhobi comes to picture. 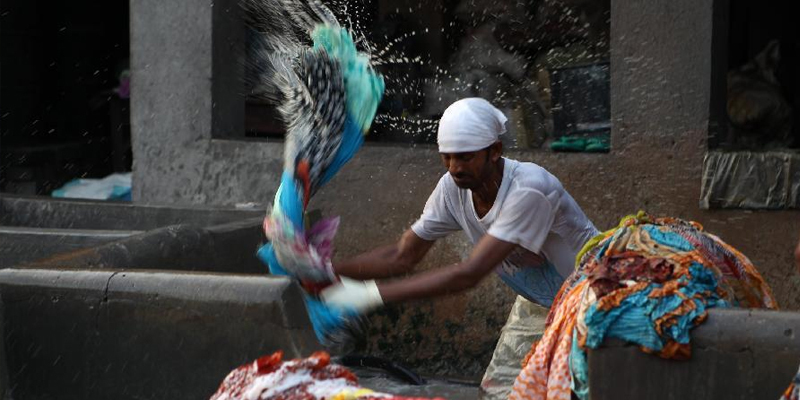 India has a lot of history on this washer men, in India this is treated has a culture. Later around 18th-century bleaching drying was made and also there use a huge metal tub to soak their dirty cloth and use to boil it this was a very common scene, soaps were dropped into hot water but again this soap was only used my upper commodity. By the end of the century, there were plenty of wrapped bars, soap flakes of commercial, branded laundry soap sold at moderate prices. Soap powder had been known for a few decades, and from about 1880 it was quite widely available. Developments in science, industry and commerce had a significant impact on household chores. Other changes in the course of the century included factory-made metal tubs starting to replace wooden ones. Mass-produced tongs were more affordable and more likely to replace sticks for lifting wet washing. Clotheslines, pegs, and pins became more widespread. Improvements in starch production led to a range of products with small differences, packaged differently, and aimed at different users, there were laundry services aimed at the “middling” people too. While the upper classes went on employing washer men/women, general servant there were various cheaper “send-out” laundry services in the later 19th century and early 20th, including laundries that brought both domestic laundry and linen from hotels etc. to a “hand-finished” standard The simplest, were wet wash and bag wash (UK) arrangements where you sent off a bundle of dirty laundry to be washed elsewhere. Ironing is done at home at this bottom end of the market. By the end of the 19th-century prototype of a washing machine was brought into use and commercialized widely. Here ends our journey to the history of laundry. Phew! All these inventions through ages have led us a new age laundry technique from automated washing machine to various laundry products. The ultimate question will be done we have time for laundry in our busy day? So, what the solution? No worries. 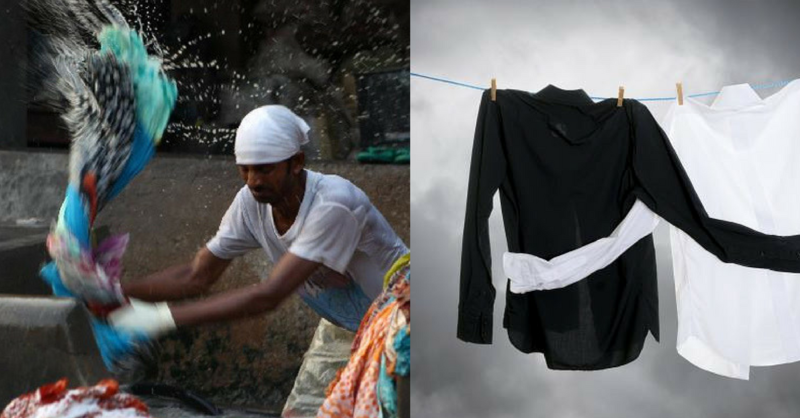 Here’s Bro4u.com which offers you Doorstep laundry service in Bangalore. We assure you the best service for the best price and we make sure that your clothes get the wash which it deserves. All you have to is just log in to a website or download app to prevail best offers and discounts for your booking. Laundry is no more a big task when you choose Bro4u 🙂 Check out this video. Hope this article was informative. Make most out of your weekend while we take care of your service needs. We at Bro4u provide 50+ home services from laundry, plumber, carpenter, electrician, car wash, bike serviceand more to your doorstep. To all our readers on our blog, we have an exclusive offer on the Bro4u App. 7 undiscovered places in and around Bangalore for an awesome weekend. Most informative post..Your information is very useful for us. Thank you for sharing with us.